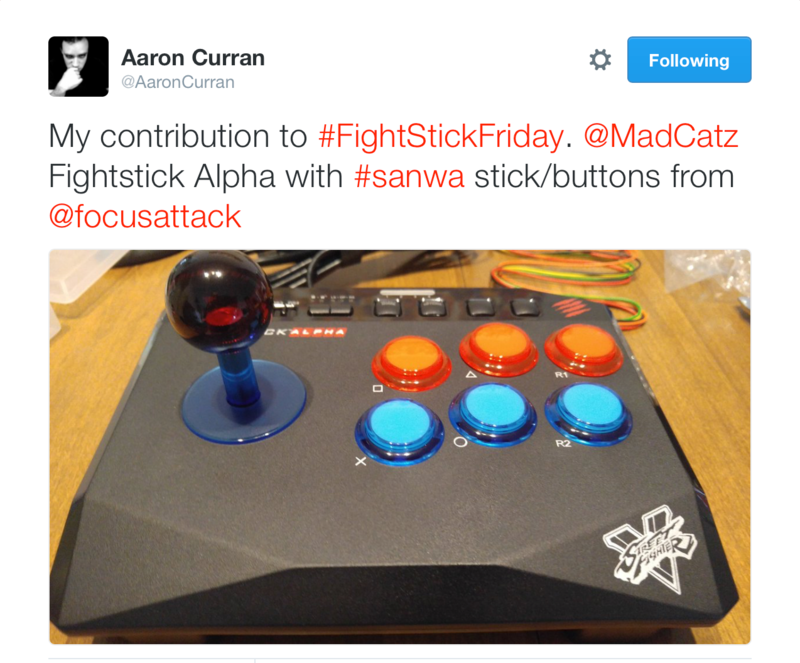 Q: "I bought A MadCatz Alpha and i was wondering what restrictor (gate) do you recommend?" 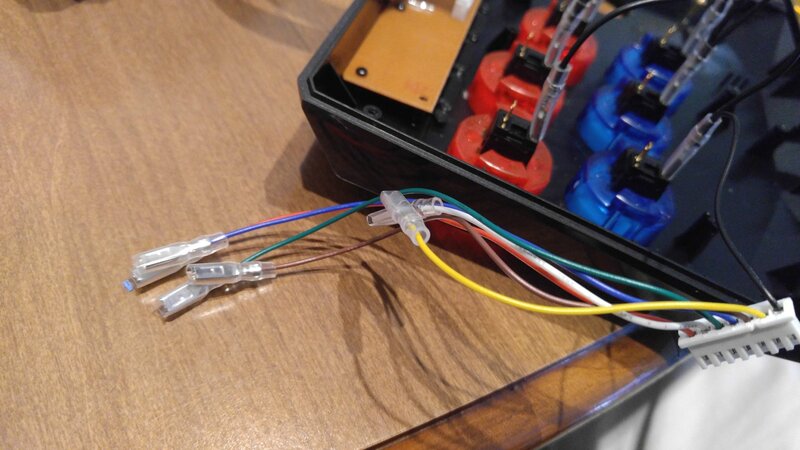 A: The restrictor gate on the lever that comes stock unfortunately would not be easily replaced as the stick is not officially Sanwa but a clone. 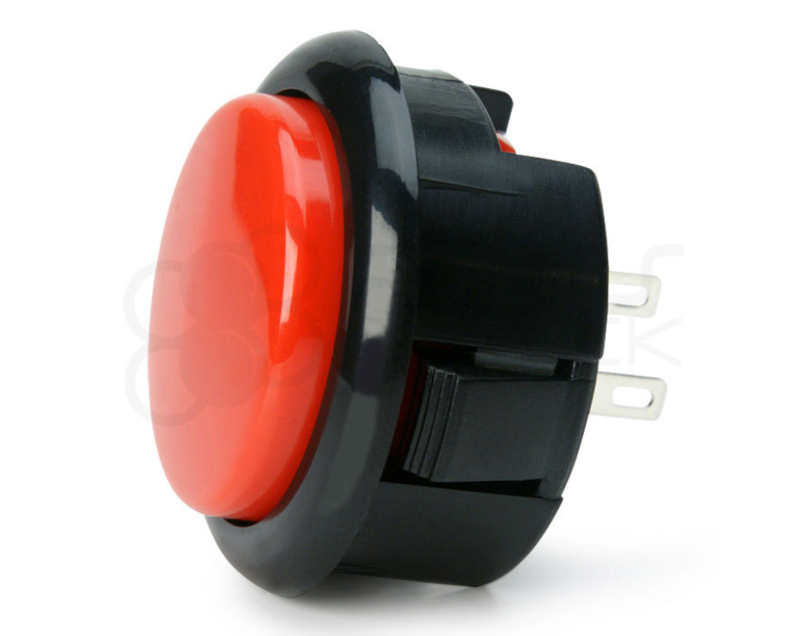 You would need to replace the jlf clone with an official Sanwa JLF, using the screws that came with the Alpha mounts. A customer (SoftserveSpecial) of Focus Attack created a video with instructions on how to mod the Alpha. A robust addition to this article is offered courtesy of @AaronCurran. Disconnect all the harnesses and move the board out of the way (two screws). Get ready to yank on (or snip) wires. 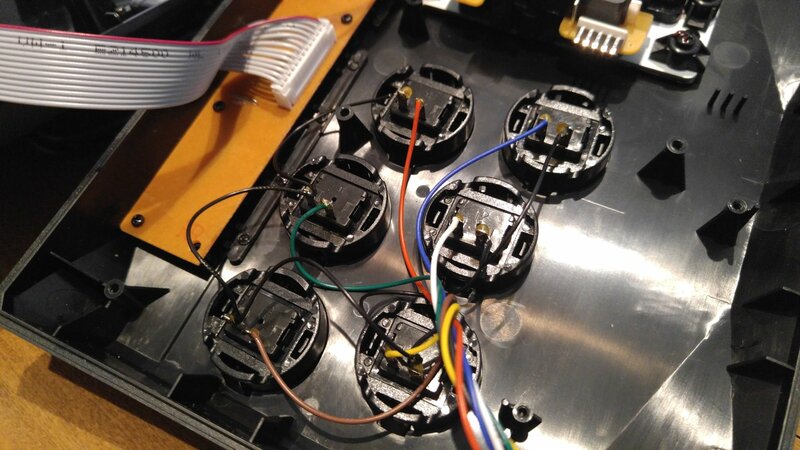 Pull or snip the wiring harness off the original buttons. They’re held on with glue. Here’s everything reconnected. To close the case, you’ll have to gently bend the terminals. 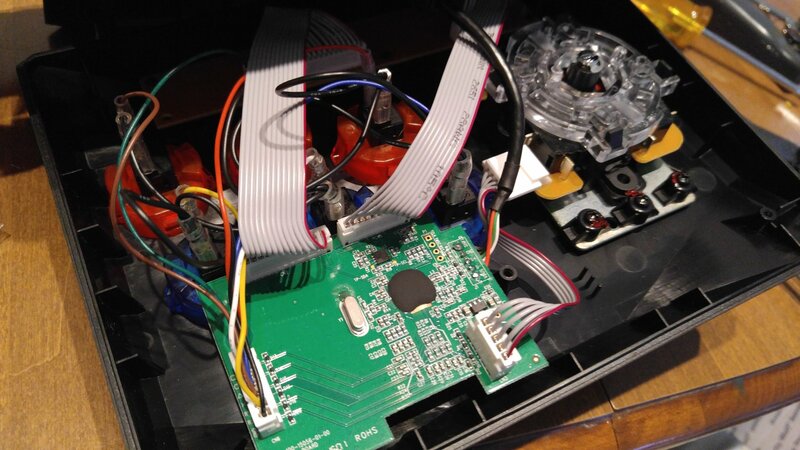 It’s a tight fit around the jab button due to the USB cable. I bent those terminals in opposite directions. Again, no bending required with the PS-15 buttons. Big thanks to @AaronCurran for his permission to turn his Twitter conversation into a support article. Thank you for this. I've just ordered a whole bunch of parts and plan on doing something similar with an Alpha Fightstick I just ordered off Amazon. All the sizes and other parts we need to buy (e.g. daisy chain crimper etc) was very helpful!